Spacious 3500+sq. 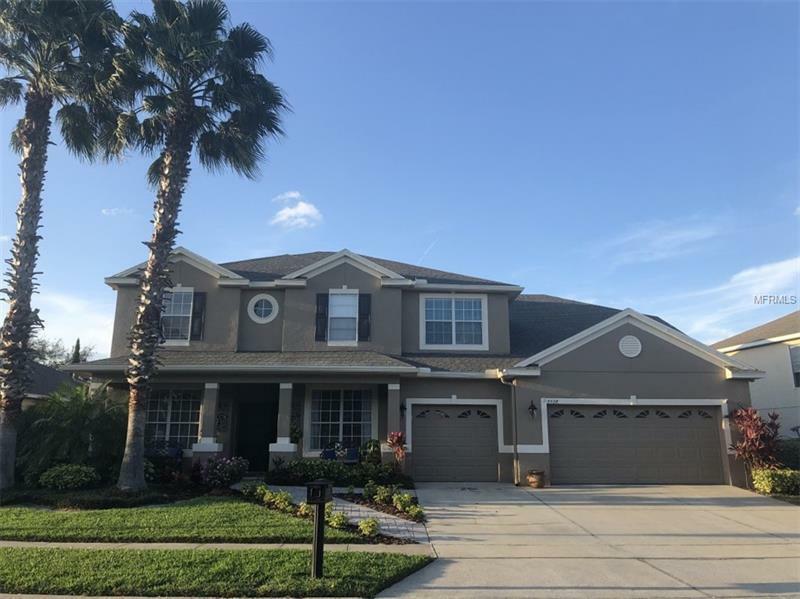 ft two story home pool home is located in the beautiful gated community of Kenmure in Oviedo. The home features 5 bedrooms, 3 Â½ baths, a large second floor bonus room, a custom gourmet kitchen with granite countertops and stainless steel appliances, an enclosed resort like pool and spa area with a covered porch facing the lake, and a three-car garage. This Home has a new roof (2016), and the exterior was recently painted. It contains an intercom system, water softener, central vac, hot water heater was replaced, the pool has an automated salt water system and pool pump and filter are new including a new pool cleaner, brand new heater for pool, surround sound speakers in family room and speakers located in porch/pool area. There are views of the lake from the breakfast nook and family room, master suite, and bonus Room. Home shows like a model. WHAT I LOVE ABOUT THE HOME. LOCATION! LOCATION! LOCATION! This home is located in an excellent family gated community in Seminole County. The schools in this district are highly rated as some of the best in the state of Florida. Itâs close proximity to major highways, dining, shopping and movies is an added plus. What more could you want! You will also enjoy entertaining and relaxing in the spacious covered lanai and oversized pool and spa area which faces the lake for privacy. Your kids will go to amazing A+ schools districts! !